Reading with your child is one of the easiest things you can do to give the best start in life. Sharing books together builds important skills such as listening, talking, memory and attention. What better way to share such precious moments than through a story. 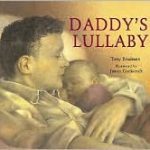 Sharing a book at bedtime is a special time between you and your baby and a lovely way to end the day. 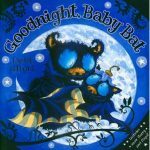 There are so many wonderful books for babies. Here are some you might like to share at the end of the day. A charming story telling of Baby Bat who can’t go to bed until all the toys are packed away and the moon is wrapped in a cloud. The book has interesting features such as snowflakes and flaps to lift up. 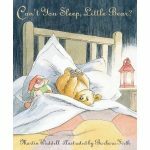 Little Bear is a bear who cannot get to sleep. Being in his cave, the problem is he is frightened of the dark. Big Bear brings him a lantern but the darkness is still too scary for him. Big Bear then takes him outside the cave and soon Little Bear learns that the darkness isn’t so scary after all. A bilby is like a mouse but also like a rabbit. That is what Billy is. Each night he looks up at the sky for his favourite star. Billy becomes afraid that one night his star may not be there, so he decides to give her a kiss. His friends help him build a mound high enough for him to do this. This tells the story of Daddy coming home on Friday evening after a hard week at work. Everyone in the family is asleep, except for the baby. Dad and baby go for a walk together through the dark house. 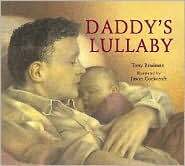 They visit the others as they sleep before they too settle down for a lullaby and a nap to the Rock-a-Bye Baby lullaby at the end of the story.